The first time up Bolinas Road en route to the Meadow Club can only yield one conclusion: I’m lost. It seems inconceivable that an eminently walkable Alister MacKenzie gem could sit atop the oak-studded mountains of Marin County, north of San Francisco. But the determined golfer should keep winding up Bolinas after leaving the placid community of Fairfax. Within moments there will be a modest sign, followed by a campus of classy Mission-style buildings then finally, the glorious Bon Meadow, where MacKenzie laid out his first North American course in 1927. Meadow Club is nestled artfully into an otherworldly setting, yet often goes underappreciated for reasons too peculiar for any level-headed golfer to comprehend. 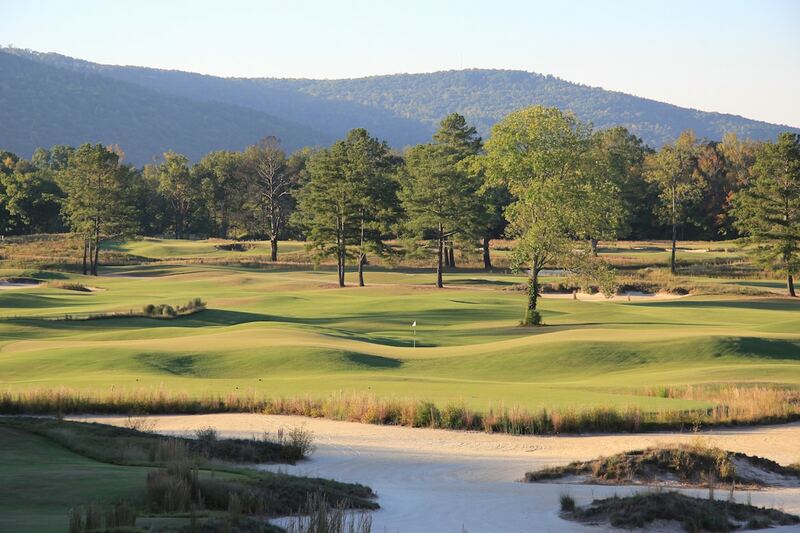 It’s a joy to play repeatedly, the setting rarely fails to inspire, the climate is golf-friendly all year, and the facilities gleam after restorations of the classically designed clubhouse and course. The club has long been content with its low profile, yet it’s been impossible for the golf world not to buzz about Mike DeVries’ meticulous six-year restoration of a design that opened vital doors for MacKenzie, who in the ensuing five years masterminded the Cypress Point Club, Valley Club of Montecito, Pasatiempo Golf Club and Augusta National Golf Club. The Good Doctor was not, however, the first architect to consider a golf course at the rolling field. That distinction fell to the great Herbert Fowler of Walton Heath Golf Club, Eastward Ho! Country Club and Los Angeles Country Club fame. Fowler created a routing in 1924 at the behest of William Kent, the “Progressive Republican” congressman who was influential in establishing the National Park Service and constructing the Golden Gate Bridge. One of the club’s 11 initial advisory committee members, Kent reached out to Fowler and Vernon Macan before another committeeman, Benjamin Dibbley, turned to his friend and Berkeley Country Club green chairman Robert Hunter, the millionaire socialist and author of The Links. Initially MacKenzie’s agent and publicist, Hunter eventually became a partner in the firm of MacKenzie and Hunter. In August 1926 they entered into a design contract with the Meadow Club of Tamalpais (the name was shortened soon after) for a fee in the neighborhood of $6,500. MacKenzie declared (as he did more than once) that he would be building the St. Andrews of America, and construction was completed in short time. 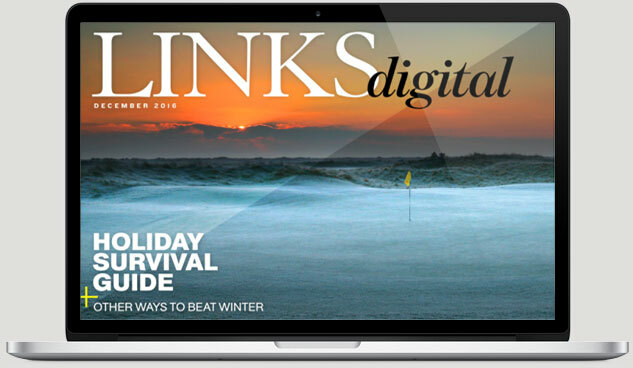 Opened informally on October 1, 1927, the design did in fact pay direct homage to the Old Course with connecting fairways, strategically placed bunkers and large, boldly contoured greens. Yet as with nearly every other American classic in the post-World War II era, Meadow suffered from excessive tree planting and overall aging of bunkers that left the course looking tired. 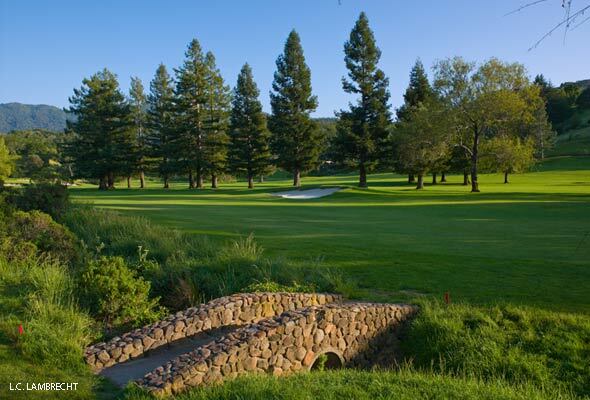 In the late 1980s, several club members led by Dr. Gary Nelson researched the course’s heritage and joined together to form the MacKenzie Society along with representatives of three other California clubs: Pasatiempo, Valley Club and Green Hills. As members compiled and shared information about the work of MacKenzie, they came to better appreciate Meadow’s significance as his first American design. In their research, Nelson and others were stunned to discover that the original design for the Meadow Club was a treeless course with a unique bunker style. By 1998 the club had decided on a master restoration plan and turned to Michigan native DeVries, a passionate MacKenzie student who played most of his golf at Crystal Downs Country Club. DeVries landed the commission based on his desire to transform a claustrophobic, faded design into the work of art that his heroes had crafted. Working on just several holes at a time, DeVries and the club proceeded on a six-year plan, which allowed members to continue playing the course while also avoiding an assessment. The slow pace allowed DeVries and course superintendent at the time, Dave Sexton, to remove numerous trees and meticulously re-create the bunkers’ original style, which had thick, ferocious-looking edges. The gradual transformation also allowed members to get used to the open landscape as well as the contrast that the rough-bordered bunkers offered to the well-manicured turf. It didn’t take long for the club to embrace the restoration of the course, which now affords plenty of views of its awe-inspiring surrounds: hills covered by oaks and scrub, highlighted by Mount Tamalpais, which serves as an aiming point on the 4th hole’s semi-blind tee shot. The 399-yard 4th is in the middle of an outstanding stretch on the front nine, but like a great composer MacKenzie saved the most dramatic touches for the closing stretch. The side-by-side par 5s, the 544-yard 13th and 508-yard 15th holes, share bunkers in a direct homage to St. Andrews, while the one-shot 14th plays over a natural pond. The 6,686-yard layout finishes with a stern stretch that tests the collegiate players who tee it up each fall in an event named after MacKenzie. But as DeVries notes, the course remains fun for everyday play, just as MacKenzie would have demanded of any course. Architecture buffs appreciate the rejuvenation of the John White-designed clubhouse, a mix of Arts-and-Crafts and Mission-revival styles that was the trademark of White’s famous brother-in-law, Bernard Maybeck. In addition to historic photos dotting the walls, a Josh Smith painting imagining the club’s early years hangs in a room dedicated to the club’s founders and architects. Sexton has stepped down as superintendent after nearly three decades, but the reins couldn’t be in better hands. Sean Tully is the foremost authority on all things MacKenzie, and caring for one of the most important designs of the Golden Age is his dream job. Thanks to the efforts of the members and under the care of first Sexton then Tully, the Meadow Club once again stands as an architectural and historic treasure, one of the most idyllic clubs in America.